Once you installed PROMT Agent you can translate text, screen fragments, documents and websites using keyboard shortcut (Ctrl + double click by default). Launch PROMT Agent (Start -> All Programs -> PROMT -> PROMT Agent). PROMT Agent icon will appear in the notification area. Right-click the icon and select Settings to adjust keyboard shortcuts or change default settings. Select a text fragment to be translated in any application or program. Press the keyboard shortcut assigned for translation ( Ctrl + double click by default). Receive the translation in a pop-up window. Note: to find a word or collocation in the dictionary, select one word. A pop-up window with dictionary translations will appear with an option to find more information in the dictionary by clicking the link. Note: This function requires explicit indication of source language. Open PROMT Agent window by clicking the icon in the notification area and indicate the source language in the Agent menu. Press keyboard shortcut assigned for capturing a screen fragment ( Ctrl+~ by default) and select the area with the text to be translated by using the right mouse button. Receive the translation in Agent window. Note: This function is only available in Standard and Enterprise PROMT Translation Server packages with built-in OCR Engine. Translation quality highly depends on the quality of text recognition. Open PROMT Agent window using PROMT Agent icon in the notification area. 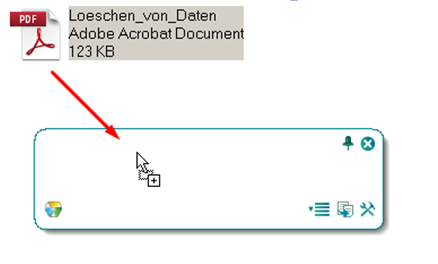 Drag and drop your document on the Agent window. Right-click the PROMT Agent icon in the notification area. Select Translate Document and choose the file for translation in the standard system dialog. Find the document for translation in Windows Explorer. Press the keyboard shortcut assigned for translation ( Ctrl+double-click by default). Your document will be placed in the queue and after the translation is complete you can look at the result, download it by choosing the dedicated action in the Commands line of web interface . Select a web page address and press the keyboard shortcut assigned for translation ( Ctrl+double-click by default). Depending on the settings the web application will be opened automatically when Translate URLs as web page in browser is checked or will require to click on the link Translate as web page. Right-click the PROMT Agent icon in the notification area and select Translate Web Page. You will be redirected to Website Translation Panel of PROMT Translation Server web interface, where you can insert the link of the site you want to translate in the dedicated window. See results in the web interface in any display mode by your choice. For example, only translated page can be displayed or source page with translation in a tooltip, or source page together with translation page horizontally/vertically (the corresponding paragraphs are highlighted). If you have any questions, please, contact system administrator in your company.